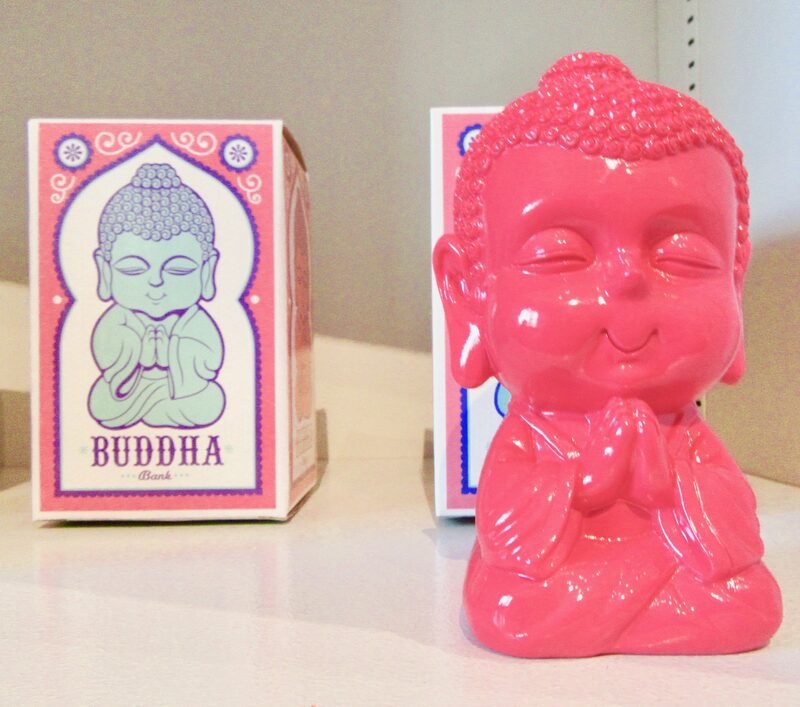 The wise way to save your pennies is with this bright Pink Buddha Bank! Doesn’t he look blissful? Spotted in the Flushing Town Hall Gift Shop in Flushing, Queens, NY. 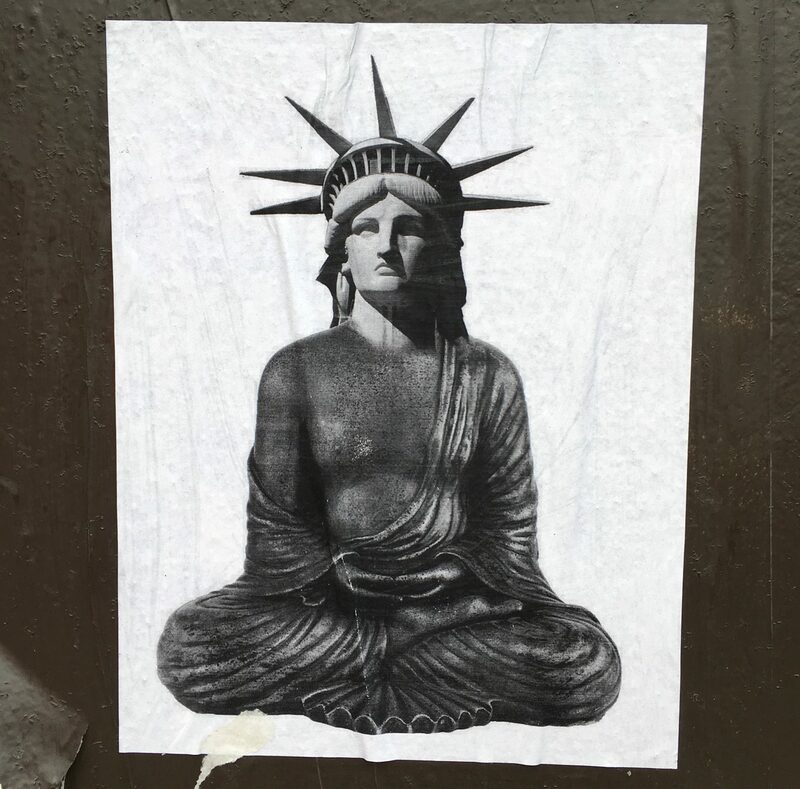 This wheat paste mash up of our Lady Liberty and the Buddha was spotted by me on West 38th Street between 10th and 11th Avenues in NYC! Artist unknown! Hey what’s up? 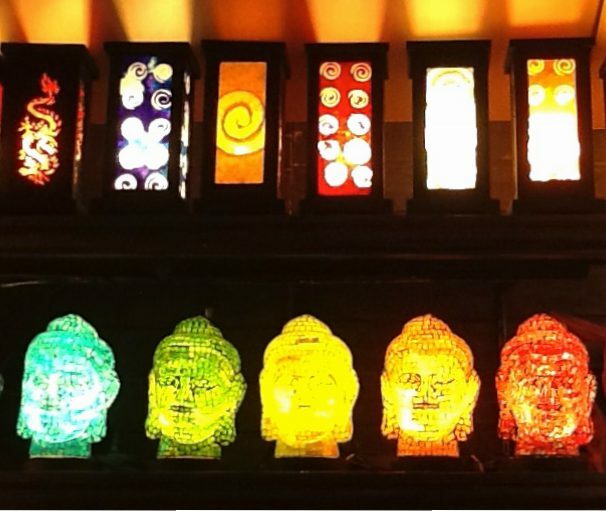 Is your Holiday shopping all done, or do you maybe need to pick up something special for the Buddhist or Yoga fan on your list? 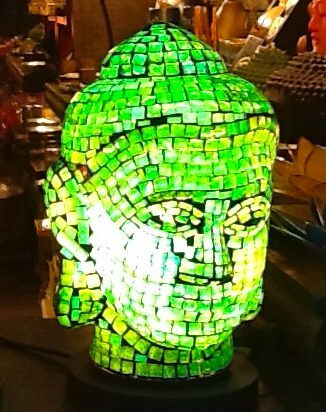 If that is the case, look no further than these totally bitchen, illuminated mosaic Buddha Heads. Available in an array of bright and cheery colors at the Union Square Holiday Market, Located in Union Square Park at 14th Street, between Union Square West and Broadway, through December 24th, 2016! 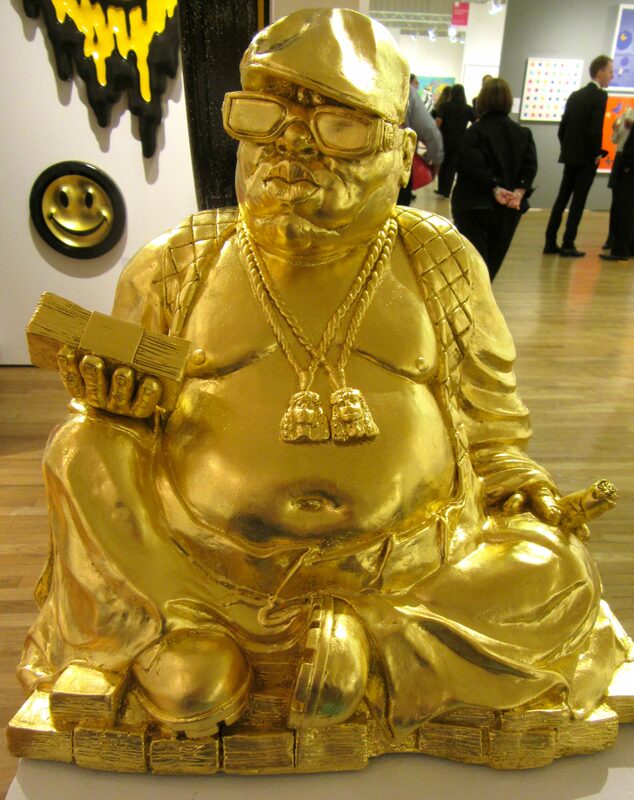 Artist Ryan Callanan created this sculpture of the late Rapper Biggie Smalls as the Buddha, covered in gold leaf, draped in bling and seated on a big pile of cash. Nice. Buddha Smalls Cash Gold (2016) one of an edition of seven pieces, sells for $1,700 from Tag Fine Arts in London, UK. Photographed at the Affordable Art Fair in NYC. Rub his belly for luck, and to be protected from crime. 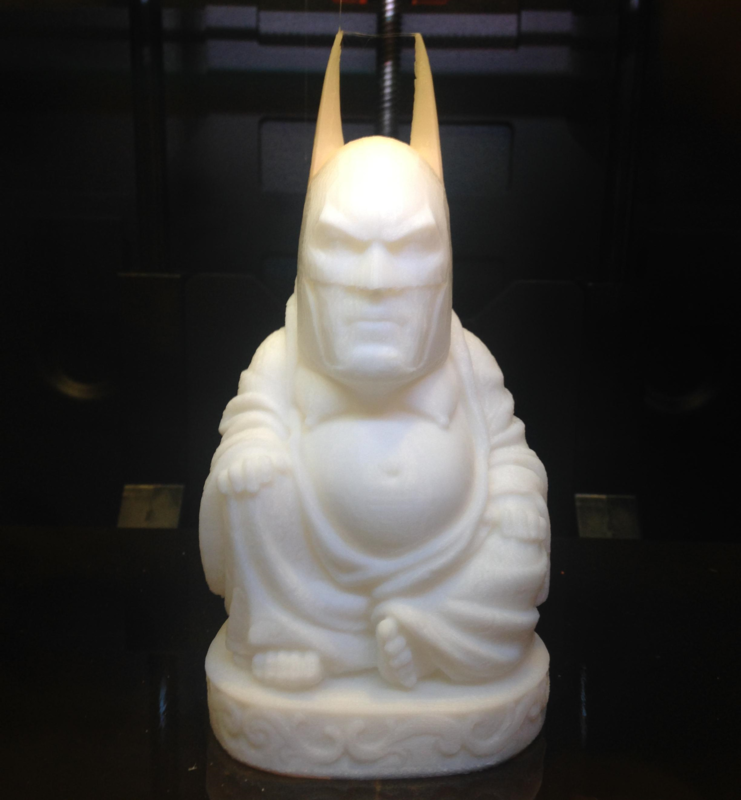 3D Printed Batman/Buddha Mash up By MuckyChris. 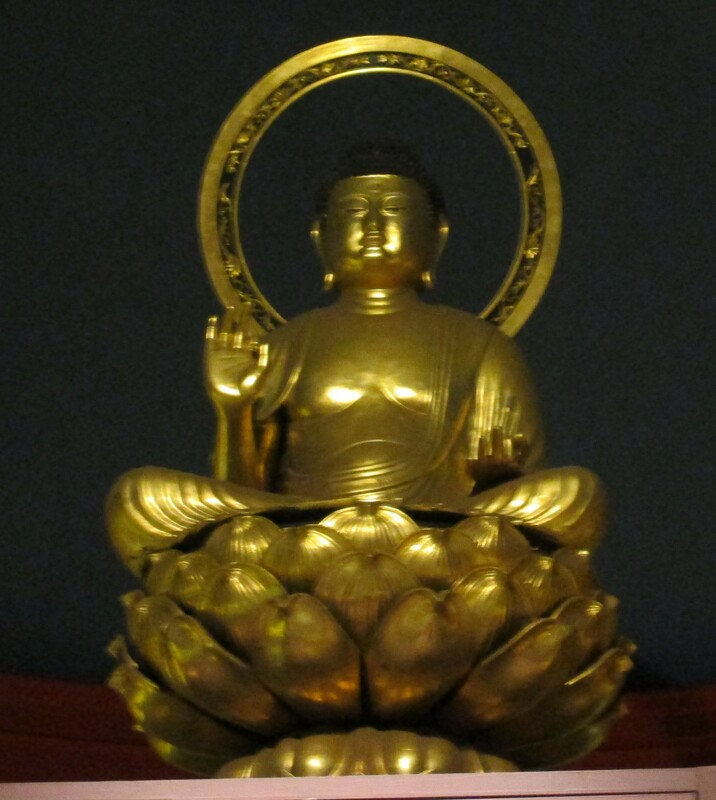 Some forms of Japanese Buddhism are rooted in the Mahayana, or Great Vehicle, school of belief. 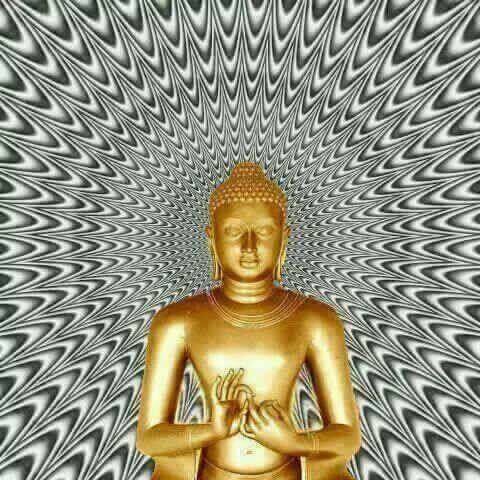 They regard Gautama, the Buddha of India, as only one of an almost endless sequence of Buddhas reaching back over an incomprehensible span of years. 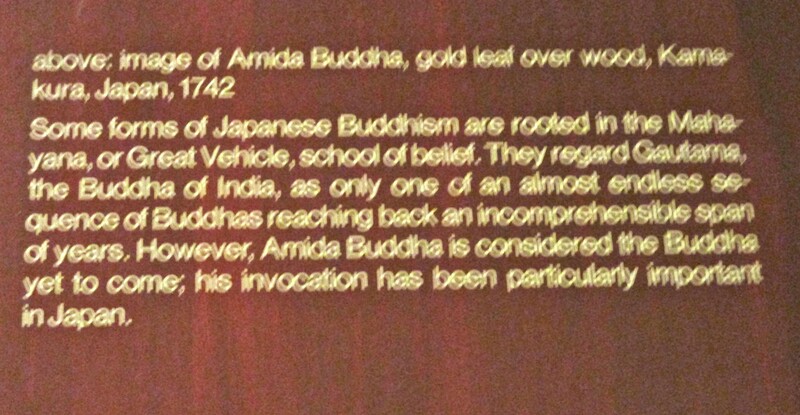 However, Amida Buddha is considered the Buddha yet to come; his invocation has been particularly important in Japan. Photographed in the Museum of Natural History in NYC.